Spend an evening with the Commodore at his special Annual Dinner/Dance on Saturday the 2nd of March. 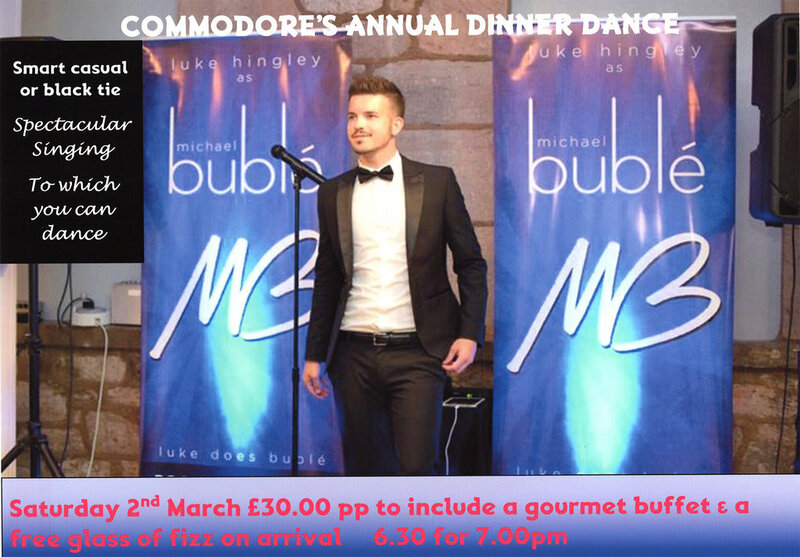 There will be prosecco on arrival, a very delicious gourmet buffet plus fantastic music & dancing with Luke Hingley's Michael Bublé Tribute act. This will be a relaxed, fun evening with a smart casual dress code, or if you prefer, black tie, the choice is yours. Tickets £30 available from the bar, the seating plan will be informal so you can select to sit with friends. Hope you can make it, look forward to seeing you, it promises to be a great evening.